What Makes Big Bite Grinders So Special? 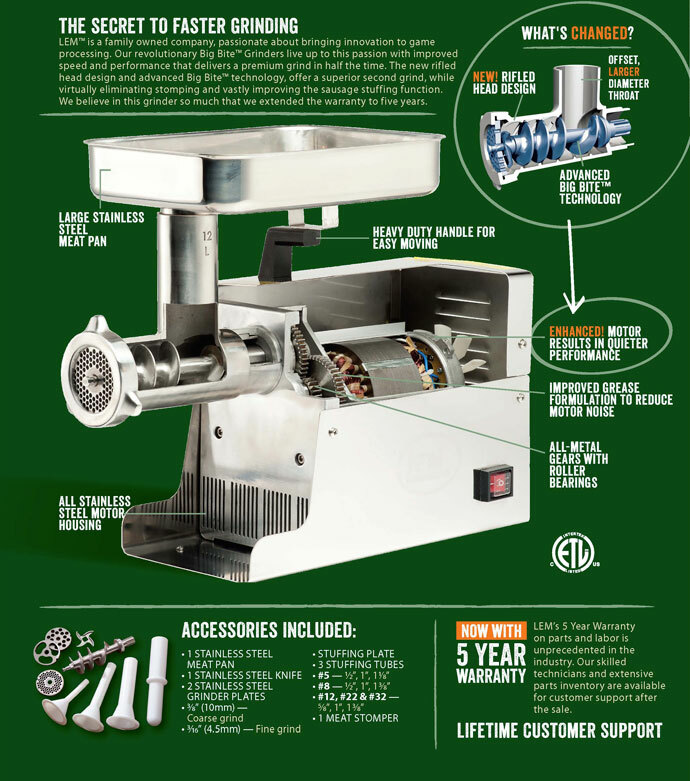 OUR BIG BITE GRINDER TECHNOLOGY features our exclusive auger design that grabs meat and pushes it through the plate 30 to 50% faster than other grinders. Together with our improved grease formulation for quieter running, redesigned plates and knives, and powerful steel gears, we've discovered the secret to a premium grind in half the time. 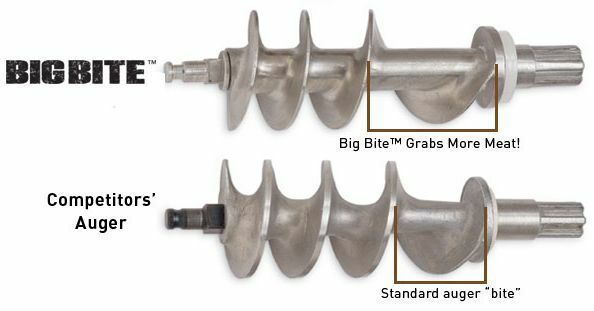 What's the Difference Between a Big Bite Auger and a Standard Auger? The easiest way to tell if you have a Big Bite Auger is to assemble the head, washer, auger, knife, plate, and retaining ring. Then turn the auger, and while turning look down the hole where the meat would be inserted. At some point, you will not see a curl and this is the Big Bite!